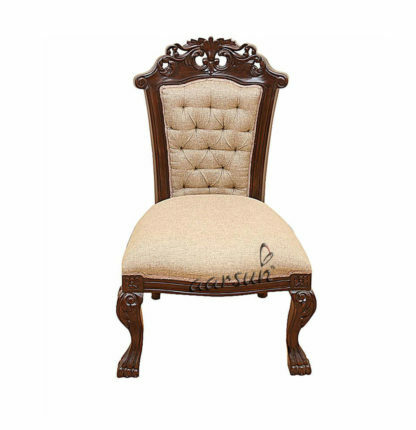 Aarsun Woods presents to you Handcrafted Wooden Dining Chair for your home.Dining chairs are an important component of a dining room where you can enjoy your food with comfort and family discussions. In any house party, the dining area plays an important role. It is the center of attraction along with the quality Wooden Dining Chairs.A perfect touch of vintage as well as modern looks to your dining room, patio, and playroom & restaurant. Rosewood is the most famous for high oil content making it smooth and thus giving this quality to our Wooden Dining Chair. Sheesham wooden dining chair has medium texture to coarse with natural luster. 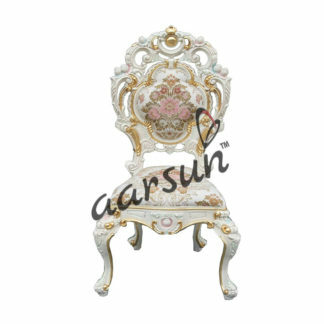 Sheesham wooden dining chair has a very indistinct color and gives very well finish after hand waxing. 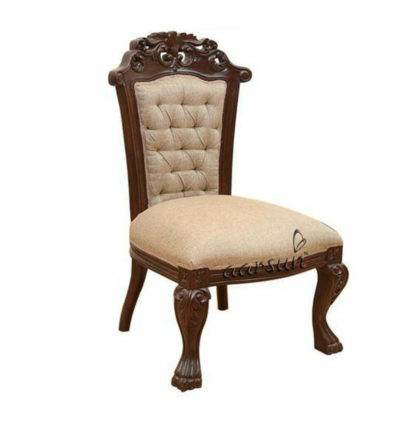 Some of our Sheesham Wooden Dining Chair have wrought iron work which only is possible with Sheesham Wood as it goes with wrought iron very well. The product is made up of Rosewood dining chair gives natural look and delicious touch to your home and office. Use a cloth or any thickest quality cloth to rub it clean. To protect it from fading, avoid keeping the product near windows where it can be uncovered to direct sunlight. Do not keep warmly items directly on a furniture surface. Custom Sizes Available as per your need.